For centuries, essential oils have been used in many different ways for treating a number of conditions and to promote a healthy lifestyle. One of the most effective and widely used ways of application of essential oils is aromatherapy, which goes by many names such as aromatic medicine, essential oil therapy, and aromatology. Aromatherapy uses different essential oils extracted from roots, herbs, barks, seeds, and flowers. This technique promotes spiritual, mental, and physical health. There are several ways of administering aromatherapy including inhaling the scent of essential oils, application directly on the skin, or diffusing the aroma of essential oils inside an enclosed space. Immune System: When used properly, essential oils through aromatherapy can strengthen your immune system, giving it the ability to ward off harmful bacteria and viruses more effectively. The anti-fungal, along with anti-microbial and antibacterial effects protect your body from several infections and illnesses. Eucalyptus, cinnamon, peppermint, lemon, clove bud, and oregano, are some of the most effective essential oils that can strengthen your immune system. Healing Properties: Many essential oils, when inhaled using aromatherapy, help in boosting the healing and recovery rate throughout the body. This occurs due to increased blood flow, along with the increased levels of oxygen supplied various areas of the body. Internal healing processes also speed up, helping the body to recover faster from illnesses and diseases. Enhanced Energy Levels: While healthy diet and exercise can greatly help in increasing the blood circulation throughout the body, aromatherapy can have similar effects if done properly. Stress Relief and Anti-Depressant Capacity: Aromatherapy is synonymous to relaxation, which means that it is great for relieving stress. Many essential oils have aromatic compounds known as relaxants to help eliminate anxiety and soothe your mind. Moreover, aromatherapy is known to be very effective in easing the effects of depression. Manages Pain: A great alternative to over-the-counter pain medication is aromatherapy, which is known to relieve several different kinds of pains. Thank you so much , I have just started using aromatherapy for now. Thanks again for the info. Please add me to your blog. I’m very interested in essential oils and excited about learning how to use them! There should be a link in the article above! Please add me to your blog. I’m very interested in essenntial oils. 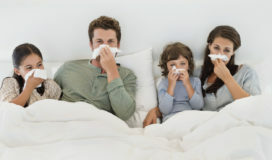 We are not sickly people but would like to have. I would not need sent that often only when depleted. I don’t want anything automatically billed and sent. I want the full bottle to have not the trial. The trial gives you the full size bottle! However, I understand if you don’t want their subscription. They should be listing the Immunity blend on Amazon soon. At last. Someone that tells what kind essential does what. I have a cabinet full of different ones and never know which to use for what. Thanks for the Immunity blend. This stuff really works. I ordered it back in December and use it on bottom of feet. Neck, wrist anywhere i want and haven’t had a cold or sick since i started using it. Didnt know what it was good for when first got it. Love this stuff just started using about two weeks ago! This sounds interesting. I would like to learn more. I need for pain in foot! Can I still diffuse this with dogs cats birds in the house? diffusing around animals is fine, just don’t put them directly in the stream. A friend of mine was telling me that we should try aromatherapy, and I was curious about what it could do for you. It’s interesting that it can actually help build up your immune system. Since we have been struggling with our health lately, it would be nice to have anything to help us out. I am so glad that I found this helpful post. I love essential oils, highly recommend them! They can help improve memory, concentration, and mental alertness, and help treat headaches and migraines too.